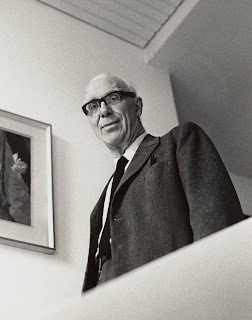 Through his pioneering philosophy of Total Design, which for him meant to ‘join all the professions right from the start’, Ove Arup redefined the way architects, designers and engineers work together. The exhibition, staged in cooperation with the global engineering and design consultancy Arup, reveals the untold stories behind some of the world’s most recognisable buildings, and shows that without Ove Arup and his firm, projects like the Sydney Opera House, Centre Pompidou in Paris and Crossrail would never have been built. Part of the V&A Engineering Season, the exhibition features over 150 previously unseen prototypes, models, archival materials, drawings, film and photography, as well as new immersive digital displays featuring animations, simulations and augmented reality to showcase over 100 years of creativity, engineering and architectural design. This section examines Ove’s legacy and highlights recent projects by Arup showing how cutting-edge engineering solutions are transforming our built environment. Major infrastructure projects such as Crossrail are brought to life via a new digital interactive map showing underground tunnelling allowing visitors to navigate through London’s underbelly. Arup’s new technologies for acoustics and environmental sound studies are showcased through immersive simulations, including a recreation of an Arup SoundLab® presenting case studies for concert halls and studies for the much-debated HS2 railway route. The exhibition also looks at Arup’s engineering solutions for open source housing design, including the firm’s recent collaborations with Architecture 00 on WikiHouse, as well as innovative crowd flow analysis projects undertaken for cultural attractions around the world, including the V&A.